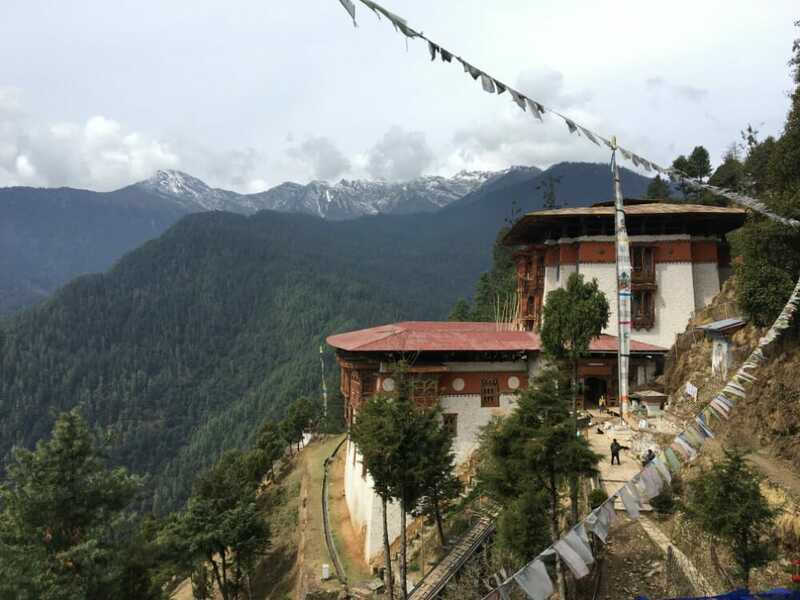 This Tiger’s Nest Temple Hiking Guide was written to give first-time travellers a better idea of what the hike entails so they can better prepare for it. 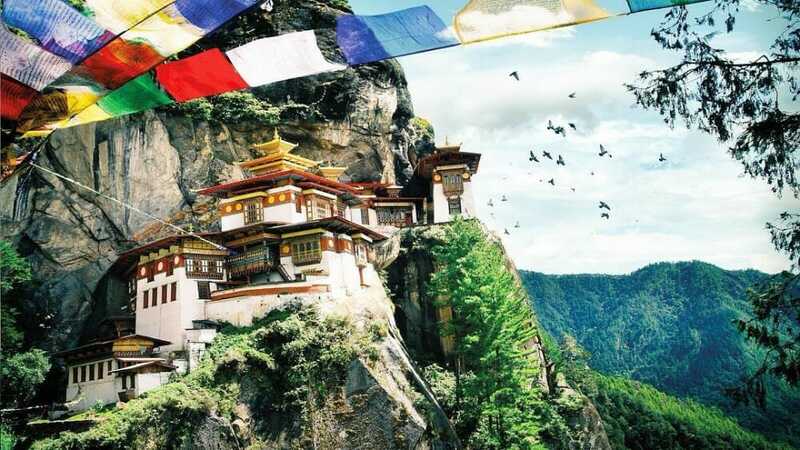 Paro Taktsang (called by the locals as Taktsang Lhakhang) is Bhutan’s main tourism landmark and known internationally as Tiger’s Nest. 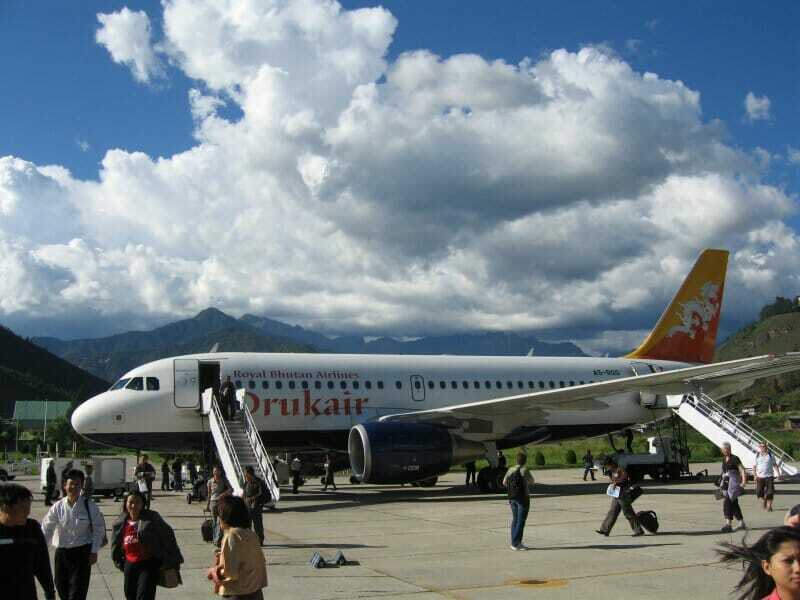 Travelling to Bhutan without going to the Tiger’s Nest in Paro is like going to Tibet without going to Mount Everest Base Camp or going for a Bali Getaway without going to Tanah Lot Temple or Ulun Danu Temple. It's impossible not to! What’s the Tiger’s Nest Temple (Monastery)? 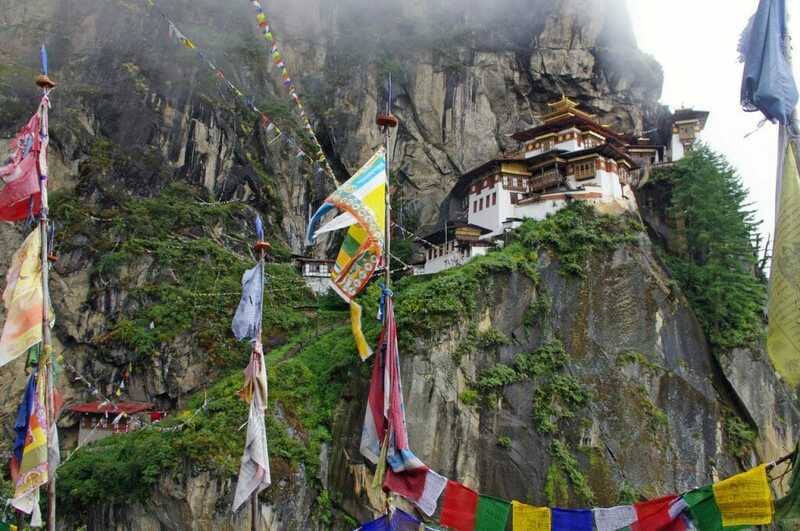 Built in 1692, Tiger’s Nest Temple still functions today as a Himalayan Buddhist temple and monastery. 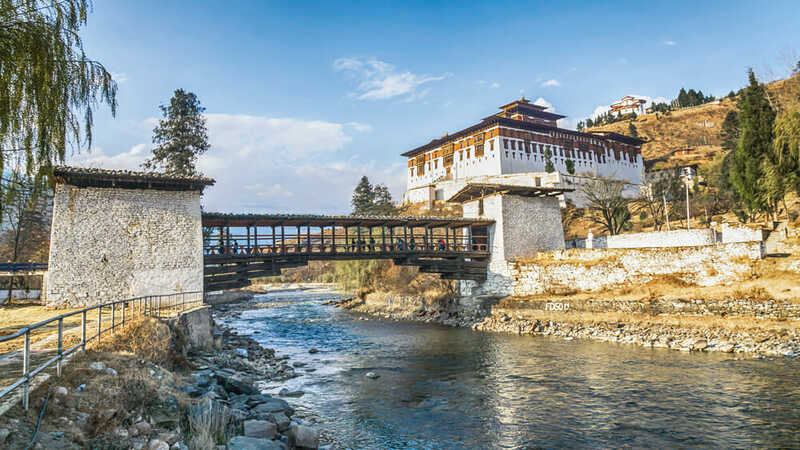 Since Bhutan opened up its tourism industry in recent years, the site has undisputedly become the country’s most-visited and popular attraction. One of the temple’s unique draw is its inexplicable location high up on a cliff at an altitude of more than 3,000 metres (3 km), giving an observer the illusion that it’s hanging in the air. The view surrounding the majestic temple is simply one-of-a-kind and breath-taking. Even a picture can hardly do justice to this magnificent holy site. 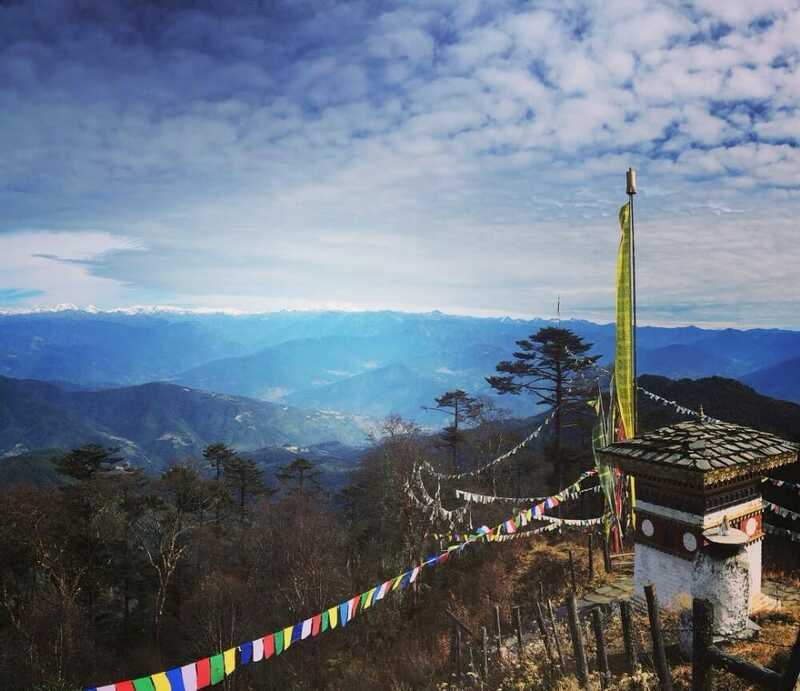 Tiger’s Nest Temple was built in 1692 on and around a cave where Guru Rinpoche used to meditate in the 7th century. Legend has it that Guru Rinpoche rode on the back of a tigress from Tibet, meditated in the cave for 3 years, 3 months and 3 days to subdue the demons residing in it, hence the name ‘Tiger’s Nest’. 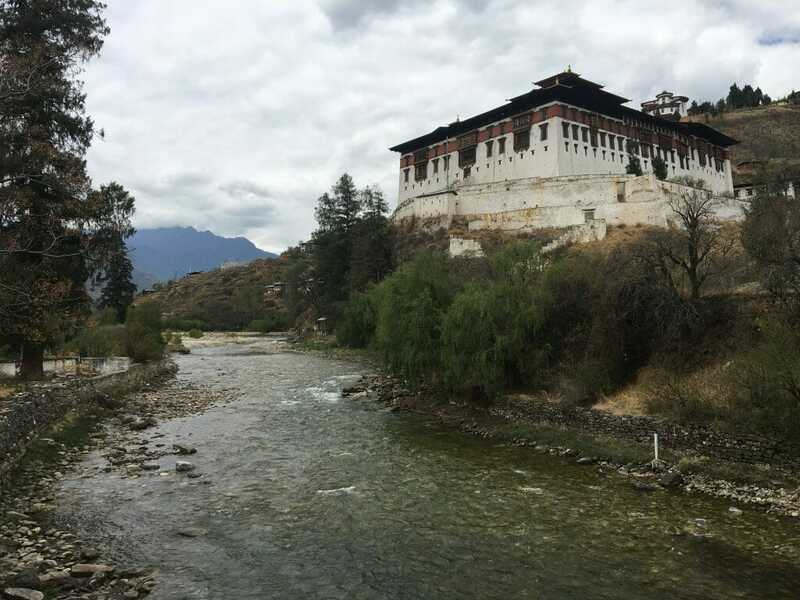 Today, there are 4 temples and an accommodation for the monks within the monastery complex. Where is Tiger’s Nest Temple (Monastery)? 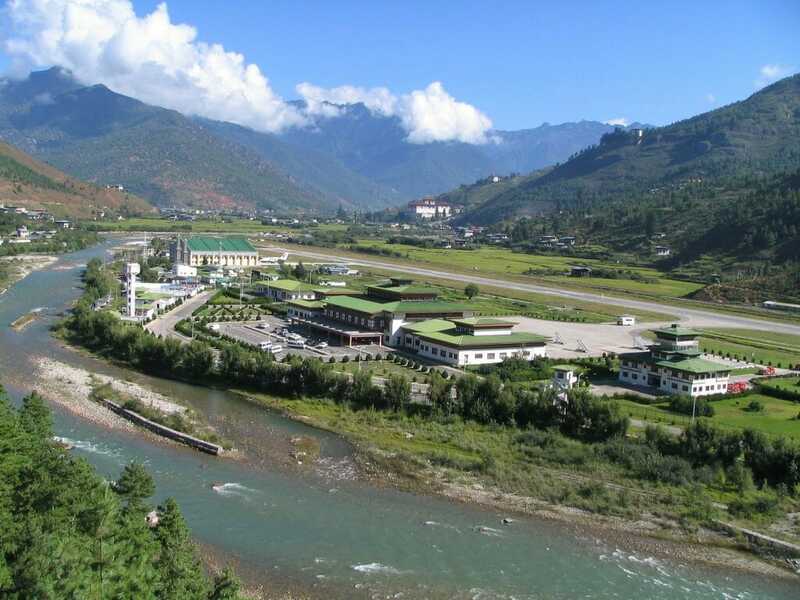 Geographically, it stands 900 metres above Paro Valley (at a total altitude of 3,000 metres above sea level). 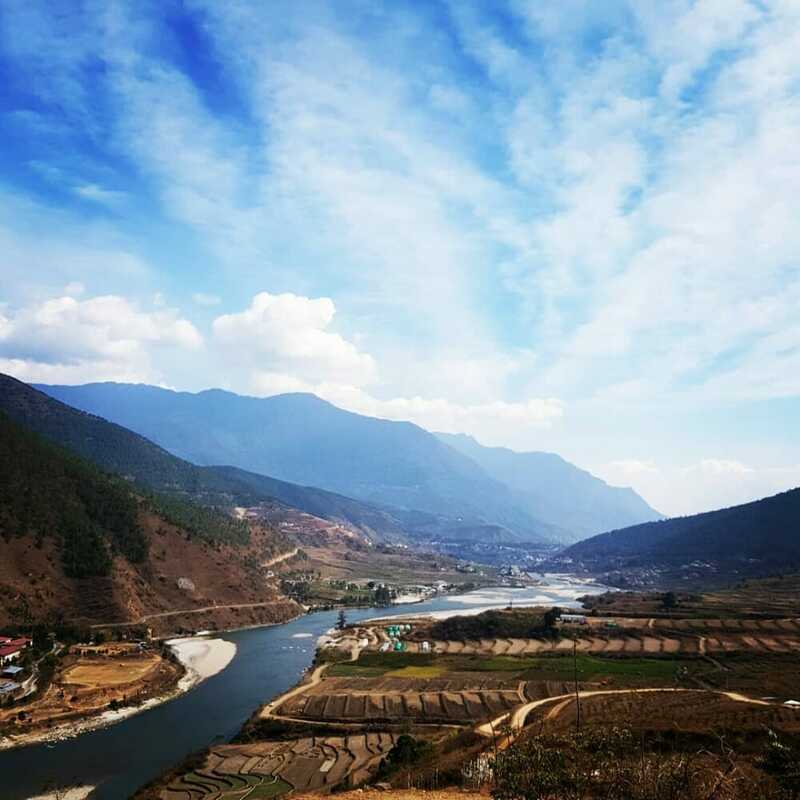 From Paro’s city centre, it’s just around 10km away (20-30 minutes by car). 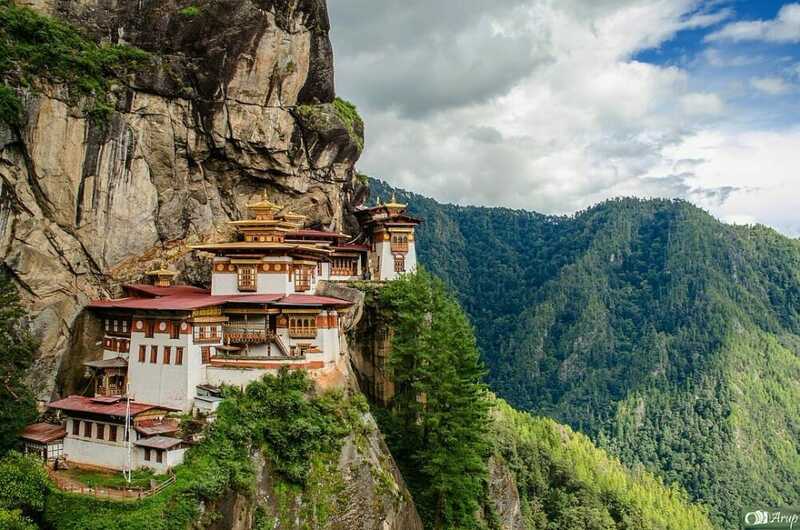 Who can hike to the Tiger’s Nest Temple (Monastery)? Any traveller with a decent level of fitness and mobility should be able to go for this trek. How’s the trek up the Tiger’s Nest Temple (Monastery) like? There are 3 parts to the hiking trail up the Tiger’s Nest. The first part of the trail would be from the parking lot at the bottom of the mountain to the cafeteria. For visitors with average fitness level, a leisurely trek to the cafeteria should take anywhere between 1 to 2 hours. Although it’s only approximately 1.3 miles (2 km) in distance, do note that the trail is uneven with lots of rocks and stones, and uphill. Once you reach the cafeteria, you could start to catch a clear glimpse of the magical Tiger’s Nest from a distance. 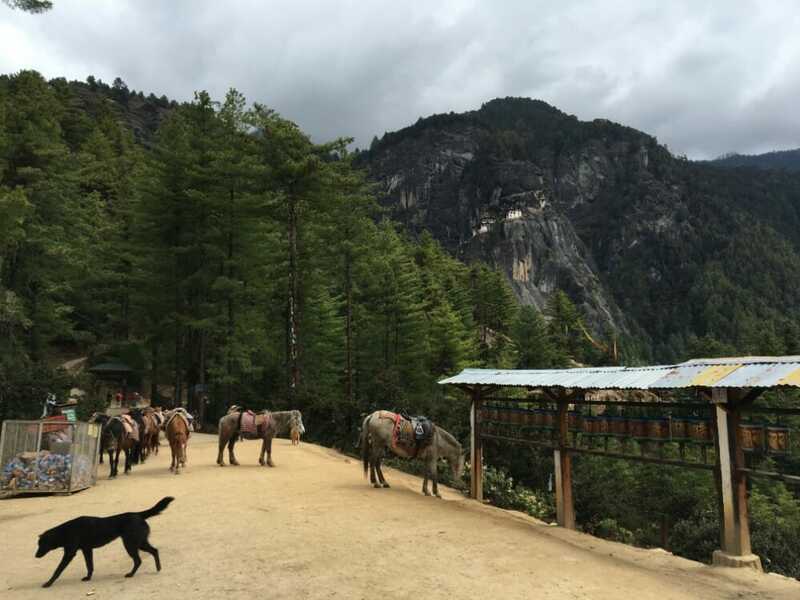 For those who would like to ‘trek’ in comfort (some say style), you can choose to ride a horse (with a horse guide) starting from the parking lot up to the cafeteria. 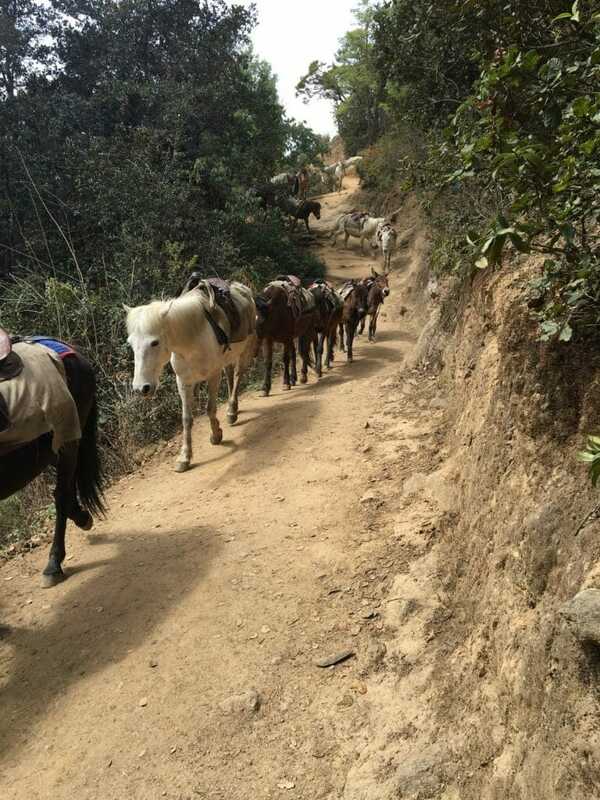 Do note that the horse ride is only allowed for the 1st part of the trail up to the cafeteria (at around US$10). The horse cannot be used beyond the cafeteria and also for the way back down to the parking lot. The second part of the trail would be from the cafeteria to the viewpoint. 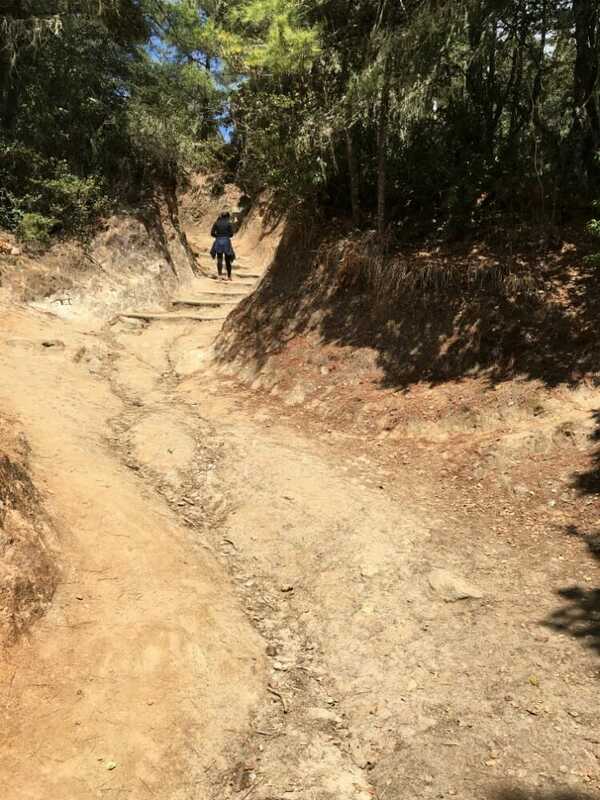 The trail is much more forgiving than the first part as it’s mostly flat and not as steep. The viewpoint is THE point where people take those iconic shots of the Tiger’s Nest. Unless you have a severe physical condition that doesn’t allow you to continue beyond the cafeteria, you MUST at least reach this point and get that money shot of the Tiger’s Nest. From the cafeteria to the viewpoint is around 1 mile (1.6 km) and should take you around 1 hour or so. The third part of the trail would be from the viewpoint to the Tiger’s Nest entrance. Starting from the viewpoint, you will descend a flight of steps down to a small waterfall followed by another flight of steps up to the temple’s entrance. At 0.5 miles or so (and around 700 steps), it should take you between 15 - 30 minutes. After you’re done exploring the temple, you will then head ALL the way back to the parking lot. 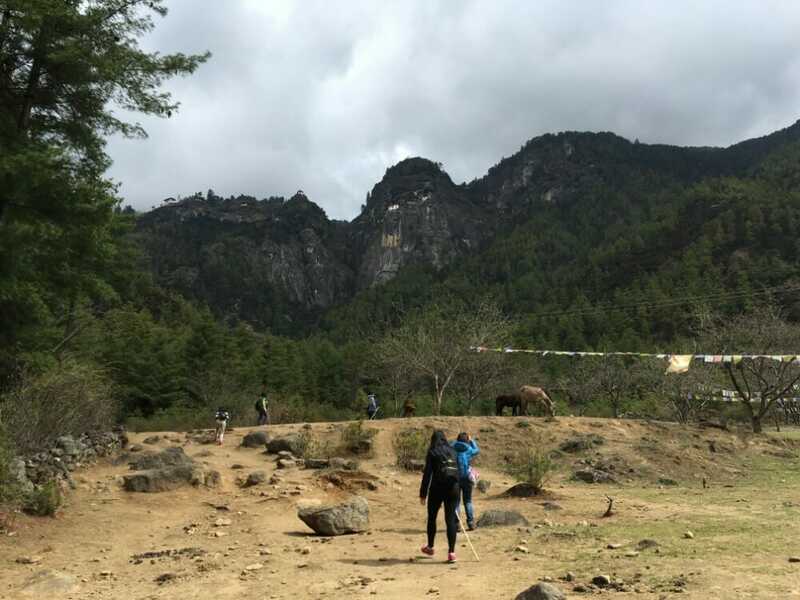 Although it would not be as strenuous and long as your hike up the temple, it would still take you some time as you might already be exhausted by this time. How long does it take to trek up and down the Tiger’s Nest trail? With a total of around 2.8 miles (4.5 km) one way, it should take you a total of 4 to 6 hours of hiking to and from the Tiger’s Nest. Taking into account break time at the cafeteria and the temple visit, it could take you anywhere between 5 to 7 hours for the whole trip to the Tiger’s Nest. 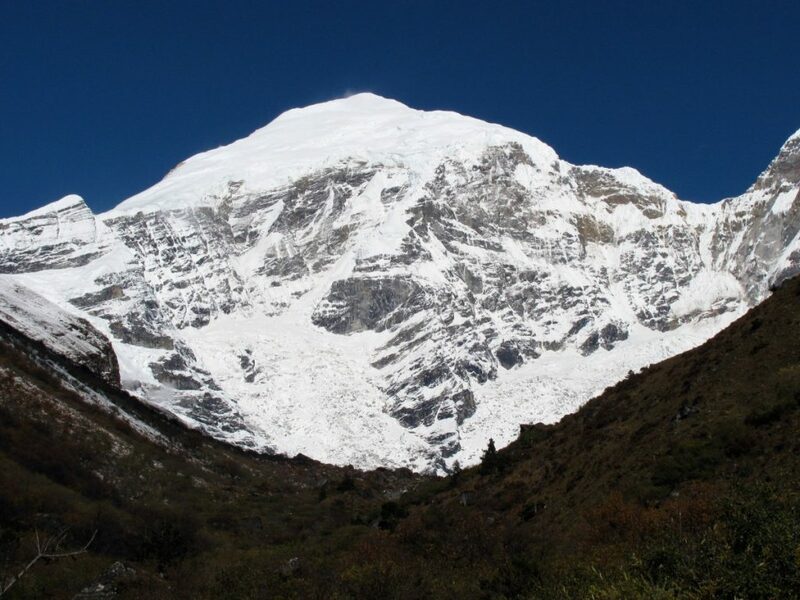 Hence, it’s wise to set aside 1 full day for this once-in-a-lifetime trek. Do note that the actual time taken varies for each individual. You would need to store your bags, phones, cameras, other equipment and shoes at one of the lockers if you intend to enter the temple. What to bring to hike the Tiger’s Nest Temple (Monastery)? Wear a pair of proper hiking, or at least sports, shoes. They will really help you a lot and more importantly prevent any possible injury. Wear comfortable clothing and bring along extra clothing like a jacket and backup shirt. Bring along some water, or even snacks. You need to supply your body with enough fluid and energy. If you have vertigo or could get high altitude sickness, bring along some high altitude pills. Remember to bring along a camera or phone to get shots of your journey, especially the temple from the viewpoint! When is the best time to visit Tiger’s Nest Temple (Monastery)? The best time to trek the Tiger’s Nest trail would be during Spring (March to May) and Autumn (September to November). 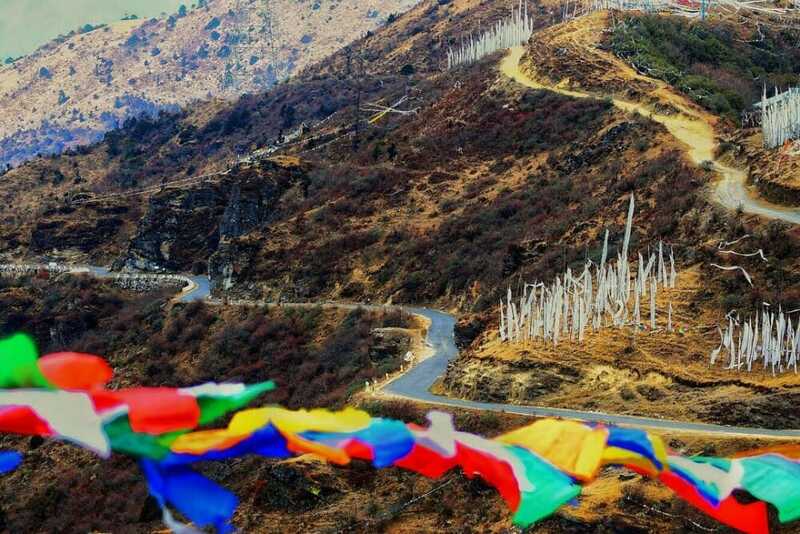 In Spring (March to May), the scenery is exceptionally beautiful as you will witness lots of blooming flowers in the mountains, hills and valleys. During Autumn (September to November), it would be sunny where you can get clear views of the surrounding valleys, hills and mountains. This period however, is usually the more crowded season. 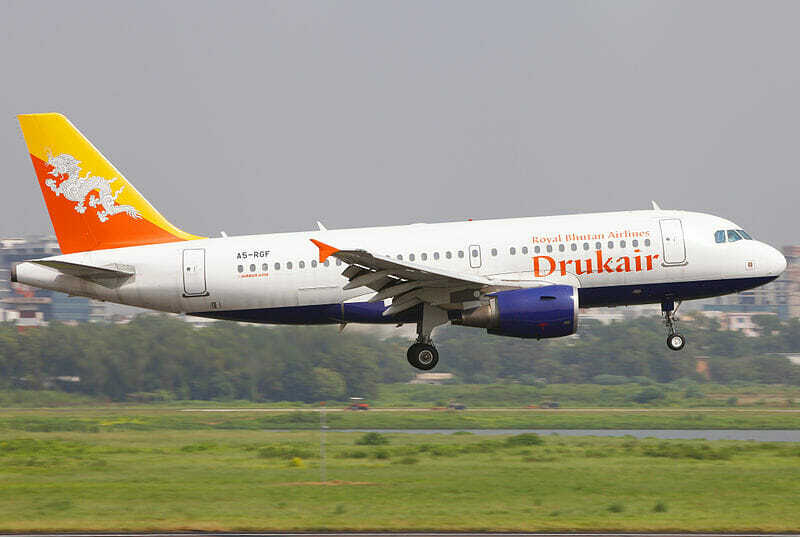 As much as possible, do avoid the months of June to September as this is the monsoon season in Bhutan with lots of rainfall. From December to Feb, it will be extremely cold with temperatures ranging from a minimum of -17 degrees to a maximum of just 1 degree celcius. The general rule of thumb to visit any attraction is of course to go as early as possible to beat the crowds. In terms of the best time of the day, try to be at the viewpoint on or after midday. The monastery (temple) could be in the shadow of the mountain up to 11am and it won’t be picture perfect when you snap those important shots. Tips to hike to Tiger’s Nest Temple (Monastery)? 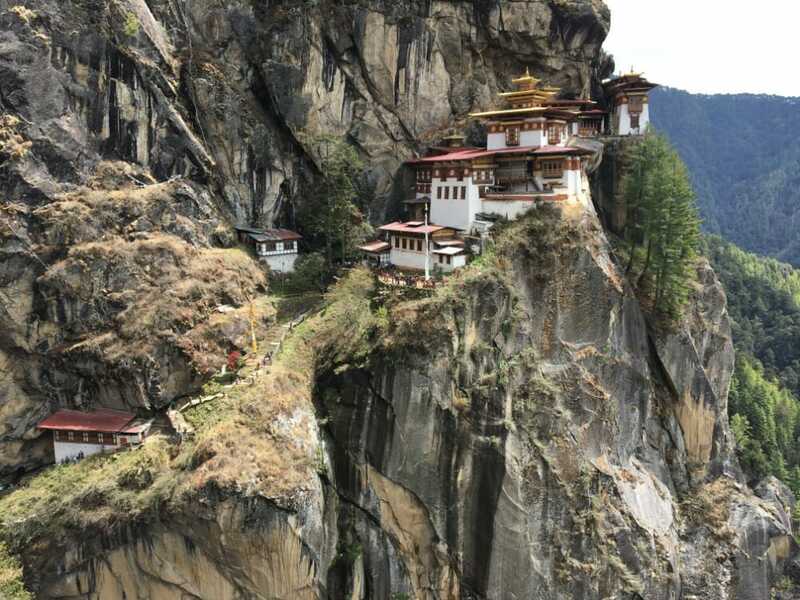 Tour operators usually arrange the trip to Tiger's Nest on the 2nd last day of your trip in order to give your body some time to adjust to Bhutan’s (and Paro’s) high altitude. If your itinerary doesn’t reflect this, do consult your travel operator and request for it. It would help you a lot. It’s not a race. The main goal is to get up close for that iconic shot of the temple or to get to the temple. 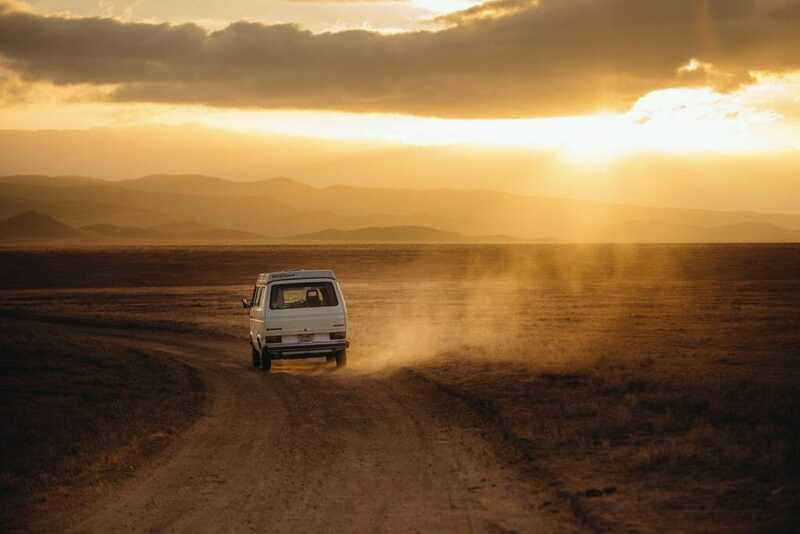 With enough time, you will definitely get there. And back of course. As you are trekking up and down the trail, keep reminding yourself to live the moment. It will be a unique and wonderful experience like nowhere else on earth. 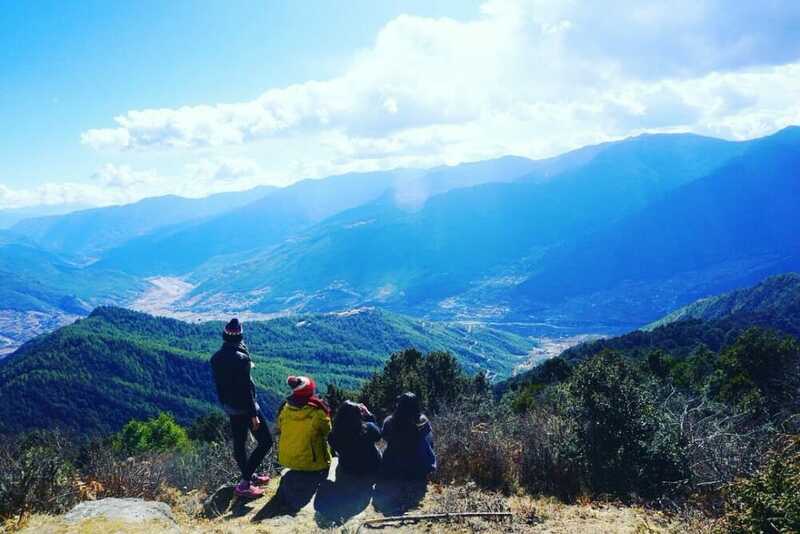 Feel the wind against your face, admire the views of the surrounding hills and mountains, look up at the sky, embrace your breathlessness, and just let your five senses take over. The actual experience will last in your memory much longer and stronger than any picture or video could.